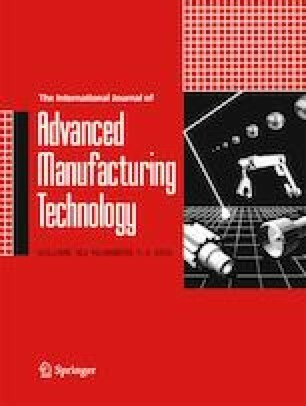 There is a growing demand for flexible manufacturing techniques that meet the rapid changes in production technology, processes and innovations. Multipoint forming (MPF) is a flexible sheet metal forming technique where a reconfigurable die can be readily changed to produce various shapes. Parts produced using MPF suffer from geometrical defects such as wrinkling, dimpling and thickness variations. In this paper, a multipoint forming process using a novel mesh-type elastic cushion was proposed in order to improve the quality of the deformed sheet and to minimise the developed defects. Finite element modelling (FEM) and design of experiments (DoE) were used to study the influence of the mesh-type elastic cushion parameters such as the type and the size of the mesh, and the thickness of the cushion on the wrinkling, deviation and thickness variations of the deformed sheet. The results showed that using elastic cushion with square meshes of a size of 3.5 mm and a thickness of 3 mm reduced the wrinkling from 3.18 to 1.98 mm, while the thickness variation improved from 98 to 19 μm. Finally, the deviation from target shape reduced from 1.7848 to 0.0358 mm.